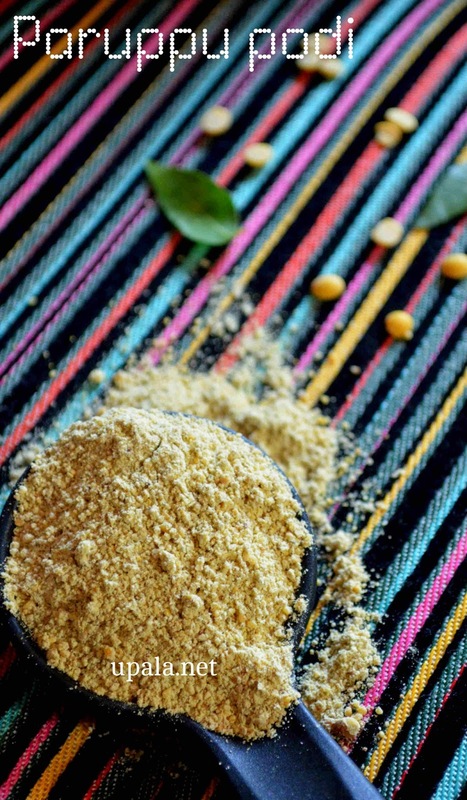 Paruppu podi is a dry powder made of lentils and can be stored in an airtight container for more than a month. When we are bored of sambar, rasams these instant powders can be mixed with rice to make simple yet delicious lunch. Best combination for this paruppu podi rice is vathal, vadam or appalams. 1) Scrap off the skin of dried ginger (sukku) and keep aside. 2) Heat oil in a kadai and fry asafoetida. Then add pepper and fry, next add (cumin seeds & curry leaves) and fry. Finally add sukku and fry. Now transfer to a plate to cool down. 3) Next we have to dry roast dals one by one. First dry roast horse gram and keep aside, then dry roast Toor dal (till golden brown), then Channa dal . 4) When it is cool add (sugar & salt) to ingredients, and grind it using a mixer. 5) Spread the powder on a plate to cool, once it is cool transfer to airtight container. 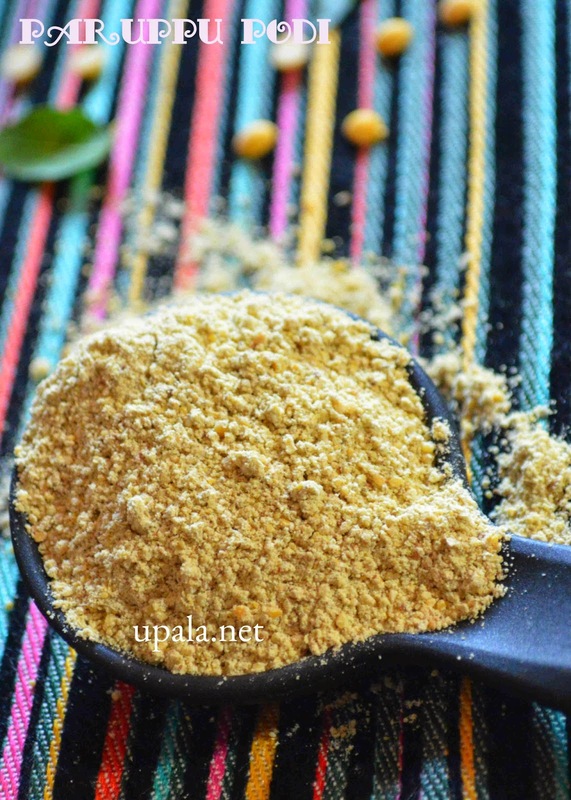 Tasty healthy Paruppu podi is ready... as we are adding sukku in this podi it helps with digestion as well. 1) I always prefer rock salt, you can use table salt if you don't have one. 2) If you have sukku powder, dry roast it in kadai and add to paruppu podi.